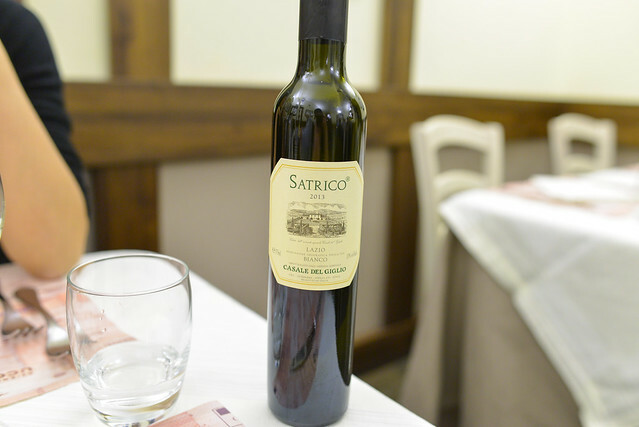 We pretty much had a bottle of wine with every meal in Italy. This wasn’t quite as expected from the menu description. 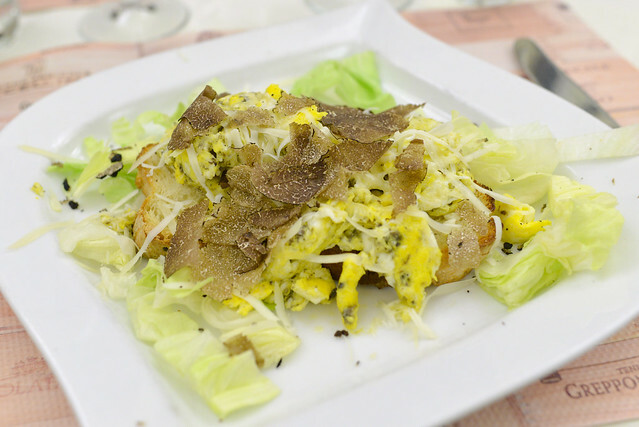 The dish centered around a thick piece of bread topped with eggs and truffle. Too much bread. The eggs were cooked through and the whole thing felt kind of dry. The lettuce garnish didn’t help things at all either. 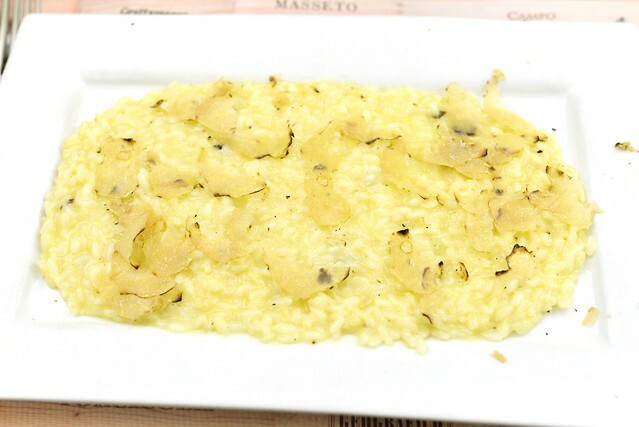 The risotto was cooked pretty well with a firm bite to the rice and a creamy sauce. 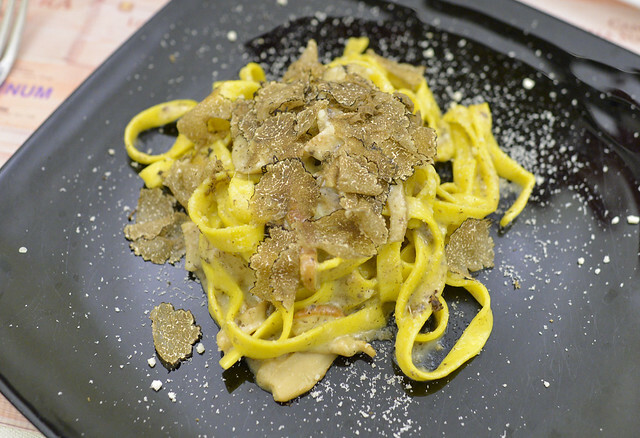 The truffle flavor was subtle but present, but overall the dish failed to impress. This fettucine was pretty good with a nice chew and tender porcini mushroom slices. Truffle flavor in this dish was more prominent. 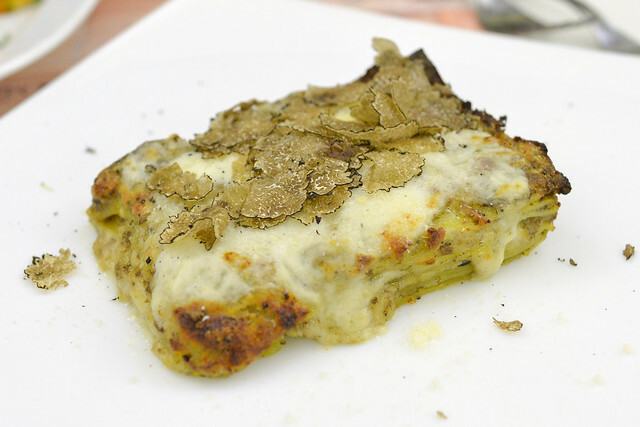 The lasagna was very earthy, no doubt from the mushrooms and shaved truffle. Layers of pasta and cheese had great oozing texture to go along with the flavors. 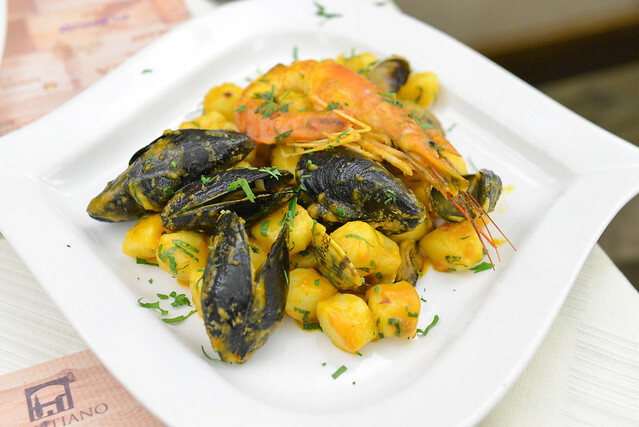 The gnocchi was good, bathed in a creamy tomato-based sauce. However the seafood were not good, consistently overcooked (I wondered if they were frozen) and a number of the mussel shells were empty. 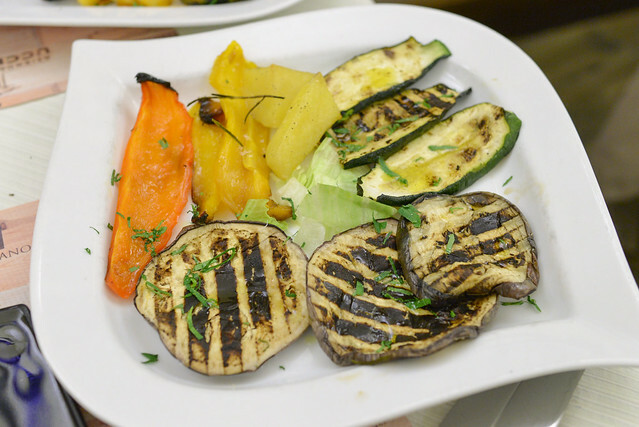 Just to keep things healthy, we got some simply grilled vegetables. 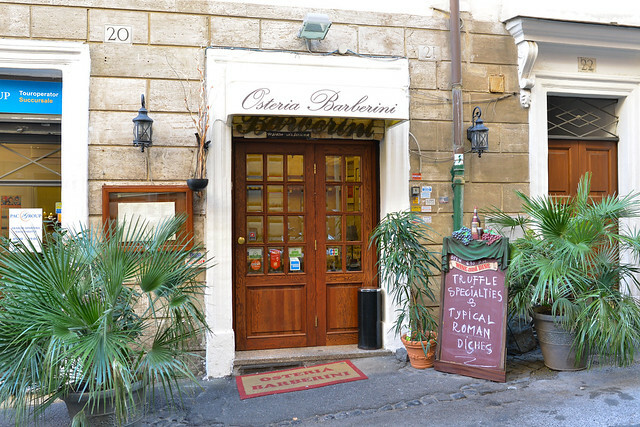 They were ok.
Osteria Barberini was a big disappointment. It was definitely overhyped for us, but I’m not really sure what happened. There were misses in both concept and execution. Truffle-wise, there were plenty of menu options but I didn’t think the truffle flavor was apparent throughout the courses. 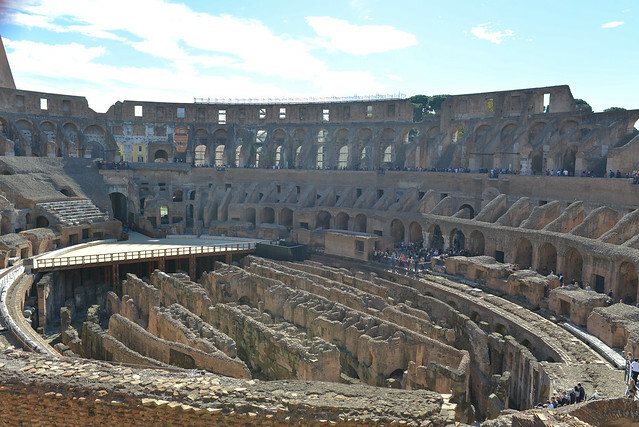 After this lunch, this meal drove us back to Da Francesco a second time to make sure we ended Rome right.